INVESTIGATE THE SITUATION - Search, examine, study the situation of prisons in order to develop our report and find ameliorative applications of the project. LEGAL ASSISTANCE - Enter the judicial system, meet detainees and authorities, give legal assistance to needy and unjustly detained prisoners. IMPROVE CONDITIONS - By improving access to justice the prison population will decrease thereby indirectly improving the conditions in which the prisoners must live. Also, find new opportunities for prisoners to be reinserted in our society. This project was conceived back in 2008 by Global Conscience Initiative in Kumba aimed to observe the conditions of detainees in the Cameroonian prison system and to subsequently give them legal assistance and try to improve the conditions. Human IS Right opened its office in Buea opened in May 2009 and the Prisoners' Rights Project was born. 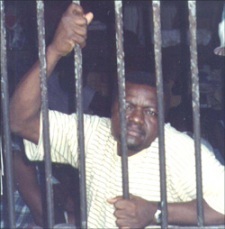 The prison system in Cameroon cannot often be described as one with fair or equal justice. Most of the inmates have been detained for months and in many cases for years without being convicted. The Buea Central Prison is extremely overcrowded which leads to many health issues. Diseases are spread easily and there is barely enough food for each prisoner to eat once a day. The aim of this project is to improve prison conditions through various activities. We are carrying out a programme where we are aiming to improve pre-trial detainees' access to justice. To do this, we have set up a legal assistance team, which is comprised of members of Human IS Right and local barristers who have agreed to assist us. Having interviewed the detainees, we identify suitable cases for our legal team, prepare case files for barristers and assist them in court. We have identified many cases which are suitable for habeas corpus application. Such an application is filed when we come across a case where the person's imprisonment is unlawful. This may occur if the arresting officer did not inform the suspect of the grounds for the suspicion, if the suspect was not treated humanely, both morally and materially, in police custody, if the suspect has not been tried within a reasonable time by an impartial court or tribunal, among others. We are always finding more and more cases which qualify for such an application. We will be sensitizing the stakeholders to the justice system of the need to improve access to justice and prisoners' rights. 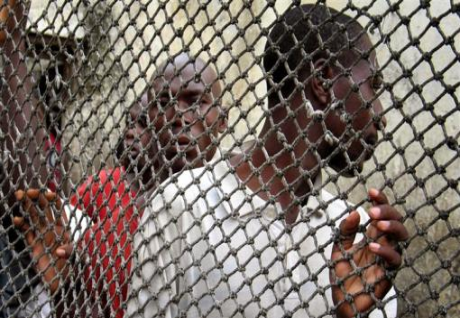 These stakeholders include prison staff, police, barristers and the judiciary. We will be conducting workshops with these different groups outlining the human rights issues which are pertinent to prisoners.